A new energy price cap has now come into force - but householders can still get a better deal by shopping around, consumer groups say. "People can also make longer-term savings by improving the energy efficiency of their homes. Simple steps, such as better insulation or heating controls, are a good place to start." Households in England, Scotland and Wales on default tariffs - such as standard variable tariffs - should be better off after the cap is introduced. 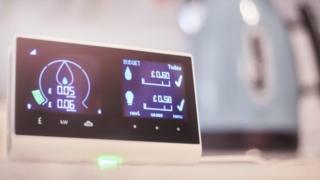 Consumers in Northern Ireland have a separate energy regulator and already have a price cap. Those on a prepayment meter already have a price cap in place. Those who chose their tariff are ineligible. The cap is on the unit price of energy, and the standing charge. So the cost of electricity - for those on default tariffs - is capped at 17p per kWh. Gas is capped at 4p per kWh. "The energy price cap can only be a temporary fix - what is now needed is real reform to promote competition, innovation and improved customer service in the broken energy market," said Alex Neill, from Which?. Centrica - which owns the largest UK supplier, British Gas - has said that it will mount a legal challenge to the way the cap has been calculated. "Through this action Centrica has no intention to delay implementation of the cap, and does not expect the cap to be deferred in any way," the company has said in a statement. Those who have argued against the introduction of a price cap have said it will be counter-productive, as it will lead to fewer people switching - where the potential savings are greater.